Pastor Roger Dabideen and his wife, Kumarie, have served in Trinidad for many years planting and pastoring Grace Church, Cunupia. They serve in the middle of people adhering to the Hindu and Muslim religions. But they have been faithful in peaching the gospel of the Lord Jesus Christ and discipling those who have turned to Jesus as their Savior. 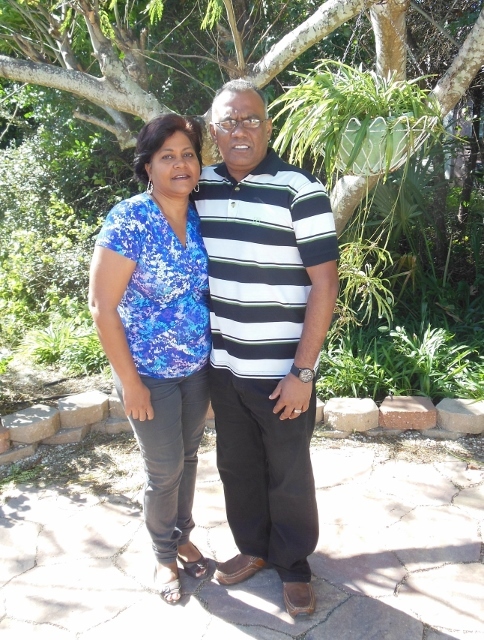 Their story is part of this month’s letter from Caribbean Vision Ministries, a cooperating ministry with the Fellowship of Grace Brethren Churches. …our prayer continues mainly for a building of our own. Every Sunday we squeeze about 75 people in a space built for 55 as we truly serve a GOD of miracles and multiplication. This lack of space has not limited or stopped the Grace members from bringing others to worship. This growth has seen us baptize 29 persons in six services over seven years. It might not seem like a lot but last month seven persons followed the example of Jesus, almost half the amount the church began with. All of our Baptism services are special to me but October 26th, 2013 was extra special for two reasons. 1. My parents Patrick and Barbara, who were only visiting Grace Church on our opening day because their son was the pastor, and have been there ever since, were among the seven people baptized. 2. Three young people whom I dedicated some years ago made me proud by following Jesus’ example. Valencia River again was the setting for this year’s service and after a time of singing and sharing GOD’S word our Baptism began with a circle of prayer. With so much rain the day before the river was dirty and a little fast flowing. This did not dampen the spirits as the seven went into the water (with some help) as did our LORD and Savior 2000 years ago in the River Jordan. 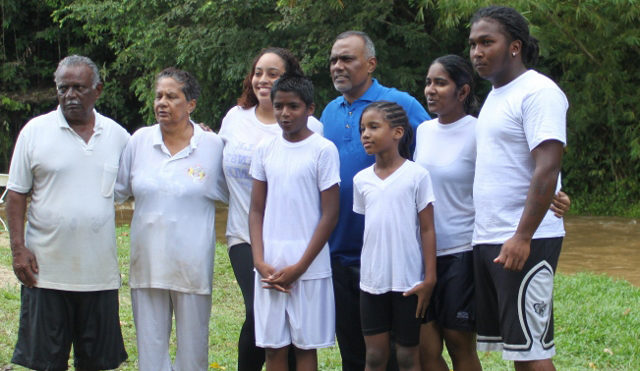 Amidst the singing there was much celebration and tears as people were reminded what it really means to follow Christ in baptism. The day of celebration continued with breakfast being served by the ladies of Grace and then the men took control of the cooking. A Trini style river cook out followed and curried chicken, potatoes and curried mangoes with roti was served for lunch. The day continued with lots of food and sweet fellowship. What a day of joy and blessings as plans are already in place for another service in early 2014. PRAISE THE LORD.